And people are raving about what Aloe Vera can do internally, for your stomach and digestive system. The inside of your body can benefit immensely from Aloe Vera. How on earth are you supposed to ingest enough Aloe Vera to make a difference? Not only would you need a garden of the stuff, but hey, Aloe Vera has a bitter taste that is hard to swallow. I’ve read recipes that include chipped ice and lemon, but to choke that down every single day? 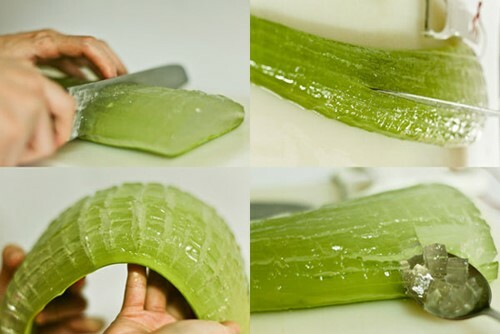 Seriously, have you ever tried peeling an Aloe Vera leaf? It’s a messy process, peeling away the gooey outer layer of the leaf to get to the gel inside—and until you get good at it, a lot is wasted! On your hands, on the counter, or stuck inside the leaf. What’s the right amount to drink, anyway? Taking too much of the fresh juice causes diarrhea and cramping, which can be avoided by using Aloe Elite supplements. Put away the blender, folks, and try AloeElite supplements instead. They are easy to take and each capsule is filled with all-natural Aloe Vera. Made up of 100% non-toxic, concentrated Aloe Vera ingredients, AloeElite is an all-natural supplement specially formulated to maximize the digestion-soothing properties of the Aloe Vera plant without side effects. Extreme Potency – AloeElite capsules achieve a remarkable 200X concentration: It takes roughly 8 Gallons of organically grown and hand harvested Aloe Vera to make just 1 ounce of AloeElite. AloeElite unites Certified Organic Aloe Vera with pure L-Glutamine – making it the most effective digestive support product ever developed. Each Order comes with 240 Capsules for about 1 month of supply. There are times when fresh is better, but in order to get the amount you need for optimal digestive health, AloeElite supplemental capsules are the best!